Sign up for National PTA’s newsletters and bookmark our grants page. Make sure all your answers work together to highlight your PTA’s strengths. Identify an existing need in your school community and explain how the grant will address that need. 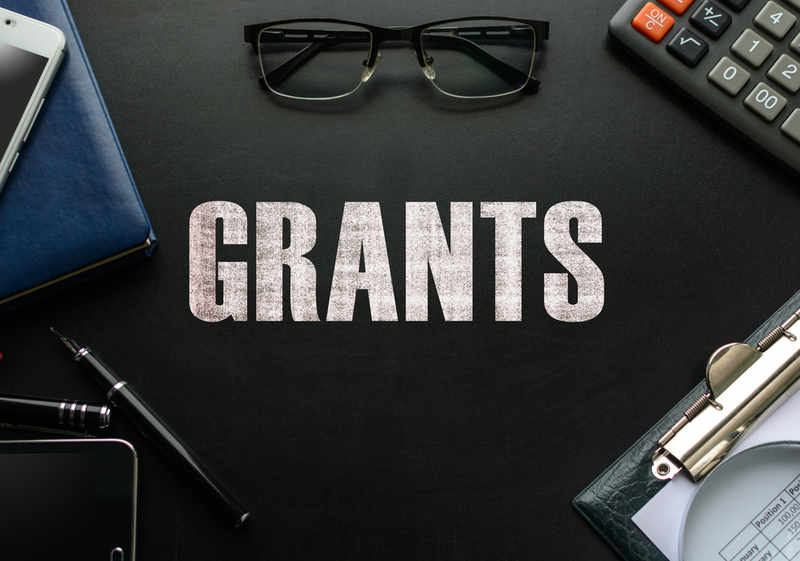 Describe how the grant will provide an exciting opportunity for your school and PTA. 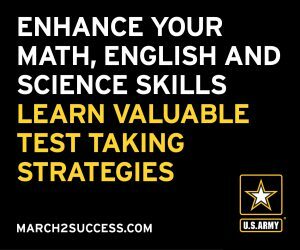 Include concrete, detailed examples and explanations that completely answer the questions asked. Demonstrate how this grant will help you build stronger families in your community and how you will encourage all families to attend your event. Ask someone to proofread your work for spelling, grammar and clarity before submitting the application. We offer over 500 grant opportunities throughout the year. If you don’t receive a grant the first time, apply again! (Sponsored Post) Chrysler minivans have been the go-to vehicle for families with school-aged children for more than 30 years. Families have come to rely on the functionality and versatility offered by Chrysler minivans to transport children safely to and from school along with the available cargo space to haul bulky science projects, sports gear or fundraising items. This relationship between Chrysler and schools in our communities is expanding after the brand became a Proud National Sponsor of National PTA last year. 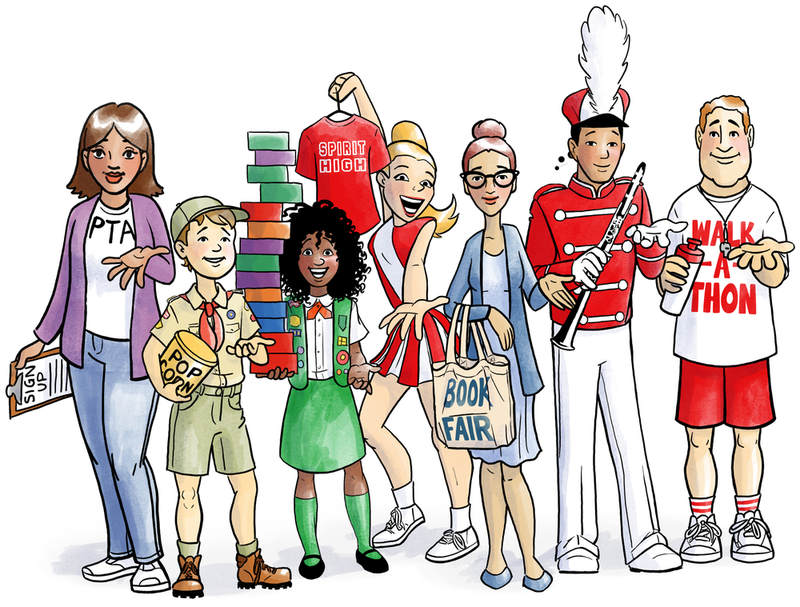 Through this collaboration between Chrysler and National PTA, the brand will support local PTAs across the country in promoting family engagement in education and raising funds for their schools. 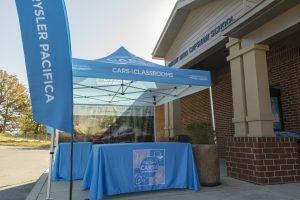 The brand’s efforts to support schools across the country will be showcased at every Cars 4 Classrooms fundraising event. 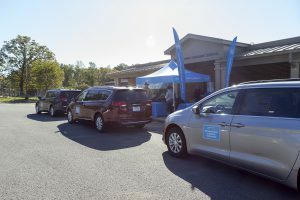 PTAs and schools have an opportunity to set up test drive fundraising events through this initiative that feature the Chrysler Pacifica and Chrysler Pacifica Hybrid to earn up to $3,000 for their school. The featured vehicle for this program, the Chrysler Pacifica, represents the sixth generation of Chrysler minivan. The Pacifica is completely re-engineered from the ground up on an all-new platform and offers the first hybrid minivan to the segment. It also has more than 100 available safety and security features, the class-exclusive Uconnect Theater rear-seat entertainment system, and an array of comfort and convenience technologies. For every participant who takes a Pacifica for a brief test drive as part of this program, the brand will donate $10 to the school. PTAs can go to http://www.Cars4classrooms.comto learn more about hosting an event. Participating Chrysler franchised dealerships will work with PTAs to provide Chrysler Pacifica minivans for the event. In addition to the test drive fundraiser, the Chrysler brand will support PTAs in encouraging families to visit their child’s school and get more involved in their education as part of National PTA’s Take Your Family to School Week Feb. 11-17, 2018. As parents and teachers, you know how important it is to create a healthy environment for children to learn, grow and thrive. At kaléo, where we put patients first, we feel the same way. However, approximately six million children in the U.S. live with life-threatening allergies, meaning that an encounter with a peanut in the lunchroom or a bee sting during recess could trigger anaphylaxis to those at risk. Anaphylaxis is a severe allergic reaction that can happen quickly and may cause death. Anaphylaxis can occur as a result of exposure to allergens including tree nuts, peanuts, milk, eggs, fish, shellfish, soy, wheat, insect bites, latex and medication, among other allergens, depending on what the person is allergic to. One study suggests that as many as one-fifth of school-aged food-allergic children have had at least 1 reaction in school within the past 2 years.1 It is crucial for school administrators, teachers, and nurses to be prepared for a potential allergic emergency. A company founded by patients for patients, we focus on providing solutions for life-threatening medical conditions, including life-threatening allergies – a medical condition that affects our founders and their families as well. To help ensure that children living with this condition are treated during an anaphylaxis emergency that occurs in the school setting, we at kaléo have created a new charitable product donation program, “Q Your School,” offering U.S. public elementary schools AUVI-Q® (epinephrine injection, USP) Auto-injectors free of charge. AUVI-Q is a FDA-approved prescription medicine used to treat life-threatening allergic reactions, including anaphylaxis, in people who are at risk for or have a history of serious allergic reactions. 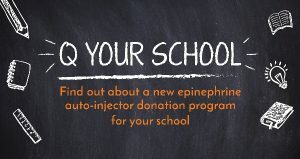 “Q Your School” provides up to four AUVI-Q cartons (each carton contains two epinephrine auto-injectors and a Trainer) per academic year, as well as access to educational materials on how to use AUVI-Q. There are no obligations, such as marketing or product exclusivity requirements, attached to the “Q Your School” program. This program is an important step in helping to treat children with life-threatening allergies during an anaphylaxis emergency while they are at school. Our hope is that this program gives parents, teachers and school administrators access to epinephrine auto-injectors should an anaphylactic emergency occur in the school setting. AUVI-Q is not a substitute for emergency medical care. To learn how to enroll your school in the “Q Your School” program, visit KaleoPharma.com/who-we-are/kaleo-cares/. To learn more about AUVI-Q, please visit AUVI-Q.com. AUVI-Q (epinephrine injection, USP) is a prescription medicine used to treat life-threatening allergic reactions, including anaphylaxis, in people who are at risk for or have a history of serious allergic reactions. AUVI-Q is for immediate self (or caregiver) administration and does not take the place of emergency medical care. Seek immediate medical treatment after use. Each AUVI-Q contains a single dose of epinephrine. AUVI-Q should only be injected into your outer thigh, through clothing if necessary. If you inject a young child with AUVI-Q, hold their leg firmly in place before and during the injection to prevent injuries. Do not inject into veins, buttocks, fingers, toes, hands, or feet. If you accidentally inject AUVI-Q into any other part of your body, seek immediate medical treatment. Please click here to see the full Prescribing Information and the Patient Information at AUVI-Q.com. Spencer Williamson is the president and CEO of kaléo. National PTA does not endorse any commercial entity, product, or service. The kids are back to school and the holidays are around the corner. It’s an exciting time to gather with family and friends. 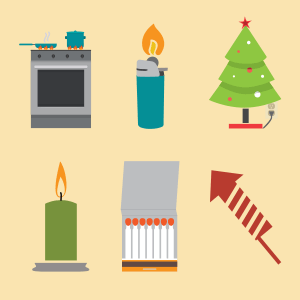 Unfortunately, holiday festivities can present unique fire hazards. According to the U.S. Fire Administration, more residential fires happen during the colder months than any other time of year, primarily caused by cooking, heating and electrical malfunctions. Remain in the kitchen when you’re cooking and keep pan lids close by so that if a fire starts in the pan you can quickly cover it with the lid and smother the flame. Remember to turn off the burners and the oven when you’re done. Be sure to test your lights and cords, and replace anything faulty. Hang indoor lights with clips instead of nails, and never use decorations inside that were intended for outdoor use only. Place Christmas trees or plants at least three feet away from heat sources, turn off decorative lights when not at home or sleeping, and remember to water live trees. Be careful to keep burning candles away from children, and remember to always extinguish them before leaving the room or going to sleep. When decorating outside, only use electrical decorations and cords manufactured for outdoor use. Keep them away from snow or standing water and avoid pinching them in doors or windows, which could damage their insulation. Have your chimney inspected prior to use. Never hang decorations in front of a working fireplace. You are key to your family’s safety. Although fire safety is serious, you can make it easy to talk about. Visit TheHartford.com/JFMParent to learn more. The Salt Lake Board of Realtors® Housing Forecast 2017 report agrees; 2016 marked the highest level of homes sold in ten years. It also noted that the sale of multifamily units, such as condominiums, townhomes and twin homes set an all-time record. Select a reputable realtor who is familiar with your purchase area location. A professional realtor can often negotiate better pricing and inclusions, plus they help to keep your deal moving. Get pre-qualified with your lender of choice. A pre-qualification letter gives you more clout with buyers, especially if you get into a multiple offer situation. Choose a lender that can meet tight contract deadlines as timing can be everything in the current market. Many credit unions offer excellent rates and service on home loans. Mountain America Credit Union even offers an exclusive First-Time Homebuyer Program which helps members with as little as $1,000 down. 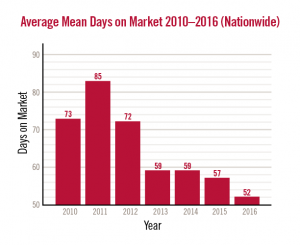 Consider using Mountain America’s Quick Close℠ Program to get the deal done faster. Quick Close is a secure electronic mortgage process that lets you to conveniently manage your closing documents from anywhere. Follow these tips to make your home buying experience a positive one in this competitive market. Mountain America Credit Union can be a big part of that positive experience—we have an amazing mortgage program including knowledgeable experts who can guide you through the entire process; a multitude of products with something for everyone’s financial situation; and a helpful staff that want nothing more than to answer your questions and get you the information you need for the life of your mortgage—and beyond! For more information on mortgages or other financial questions, contact Mountain America Credit Union. Bryan Packer is the AVP Public Relations at Mountain America Credit Union. Mountain America Credit Union is a financial sponsor of National PTA and has been invited to submit a blog post as part of their engagement with PTA. National PTA does not endorse any commercial entity, product or service, and no endorsement is implied by this content. Summer Means Sun, Fun, and … The Smart Talk? [Sponsored Post] As kids eagerly anticipate the start of summer break with relaxed schedules and no homework, parents face the decision whether or not to relax rules around screen time and digital devices. To deal with this transition from school to summer, one PTA dad has decided it’s time for his family to have ‘The Smart Talk’ … again. When Alvin Gainey’s oldest daughter—who is now 16—started first grade, she got a cell phone. As the Miami-Dade PTA Council President and highly involved dad of three school-age kids (his younger children are 9 and 11), Gainey jumped at the chance earlier this year to receive one of 20 grants awarded from National PTA and LifeLock to host a community event on digital parenting as an extension of Safer Internet Day. The Miami event featured a digital safety expert who helped families better understand the many upsides of modern technology as well as the potential risks. A major focus of the event was on ‘The Smart Talk’ which is a free online tool created by National PTA and LifeLock that guides parents and kids together in an exercise that allows them to set customized technology ground rules for their household. With summer approaching, Gainey admits his household will relax some of the rules they previously established using The Smart Talk. “We have to do the whole exercise over again because some of our technology rules for the summer break are going to be different than what we have now for the school year. I guess we’ll have a summer Smart Talk!” he noted with a laugh. In summer, Gainey’s kids “self-manage” their own time a lot more especially during the day and that often equates to more screen time with less oversight. Gainey plans to praise his kids for making good decisions like turning off their phone at the dinner table and encouraging a balance between device time and having fun in other ways. Since the kids will have more digital access during the day, he said they are likely to institute device-free hours in the evening which will be a major change from their original Smart Talk contract which allowed for devices in the evening. To have The Smart Talk with your household, visit TheSmartTalk.org. Pro Tip: Before gathering your kids to complete this exercise with you, consider reviewing the website and talking privately with your co-parent to make sure you are on the same page. This “pre-talk” helps ensure a smoother Smart Talk experience with your kids. LifeLock, a modern identity theft protection company, is a longstanding Proud National PTA Sponsor and co-creator with National PTA of The Smart Talk. National PTA does not endorse any commercial entity, product, or service. No endorsement of LifeLock is implied. (Sponsored Post) At this point in the school year, PTA groups often experience turnover with members moving on and new members coming on board. It’s a time of transition that does not always go as smoothly as planned. The last thing PTA groups want is their support of the school to pause as a result of such transition. After all, the reason we get involved in PTA is to give back to the kids. 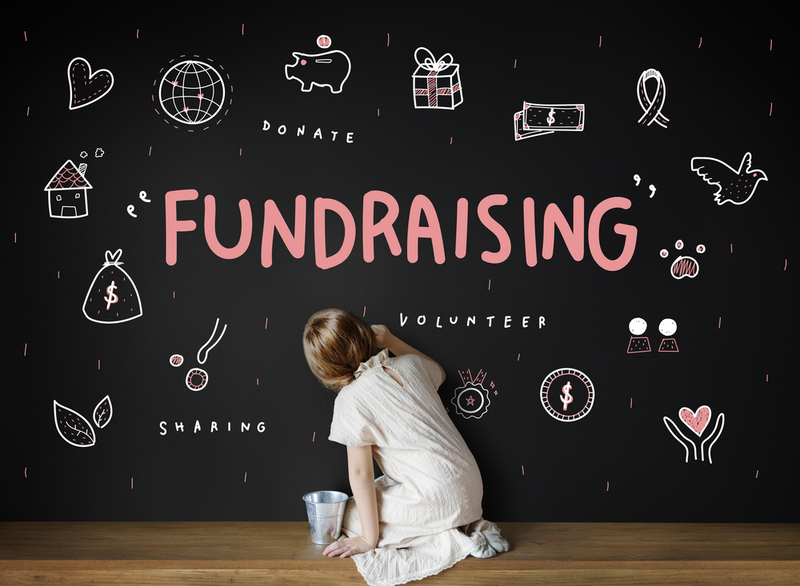 Whether or not your PTA group is in a time of transition, it can be difficult maintain your fundraising efforts from year to year to continually support new curriculum and programs. One program that has found a way to help schools maintain their fundraising needs year after year is the Schwan’s Cares™ fundraising program. The Schwan’s Cares program is an online fundraising program in which a group can easily share their campaign with PTA supporters and easily shop for groceries from Schwan’s Home Service, Inc for delicious foods they are likely already buying. The digital element of this program allows for an easy transition amongst school groups to maintain a certain level of funding each year. As the school year winds down, the focus of students and teachers is on finishing the school year strong and preparing for the next school year ahead. However, we all know that funding is still needed at all points of the year to support programs. 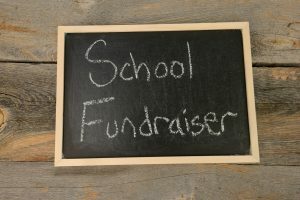 Whether you need to raise funds for the remainder of the school year or would like to get a jump start on next year, the ease of the Schwan’s Cares fundraising program could help provide a needed solution for your school. To learn more about the Schwan’s Cares program – please visit www.Schwans-Cares.com. Robb Kaufenberg is the Manager of Fundraising Operations for the Schwan’s Home Service, Inc. fundraising program Schwan’s Cares. Schools earn funding from a number of sources throughout the year. Once source that can make an even larger impact beyond the funding the school may expect is fundraising. Now, you may be thinking to yourself “Our families are burnt out on fundraising and cannot support another one”. This is where Schwan’s Home Service, Inc. can step in and help. Back in 2012, Schwan’s Home Service, Inc. set out find an effective way to further give back to communities. What they built is a cutting edge fundraising program call Schwan’s Cares that is revolutionizing the way schools raise funds and reinventing the perception volunteers have about fundraising. The Schwan’s Cares program is an online fundraising program in which your PTA supporters shop from the over 300 delicious foods from Schwan’s Home Service, Inc with up to 40% of each purchase going back to the group. Schwan’s takes fundraising a step further by also taking the orders, delivering the orders to each supporter and handling the cash. The foundation this program was built on was to give back to communities by providing a seamless, effective program that eliminates the hassles associated with more traditional forms of fundraising. As a result, the Schwan’s Cares program has hosted over 14,000 campaigns and have helped give back over $11M to communities. You know your PTA and school families better than anyone. 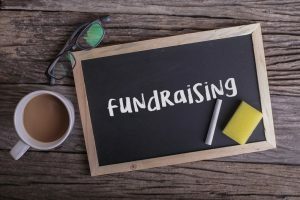 If now is not the appropriate time to run a new fundraising campaign then there is no need to push it. However, if your PTA or school could still use funding for end of year celebrations, additional program or curriculum – the Schwan’s Cares program might just be the perfect solution at this point in the year.